Professors Vineet Kumar, Clarence Lee and Sunil Gupta have been working on understanding the economic dynamics of freemium pricing by looking at customer behavior; their co-authored paper and an article by Kumar in the Harvard Business Review shed light on how companies can maximize profit, get upgrades and encourage referrals. When customers don’t understand why they should upgrade, it’s going to be tougher to move people to the paid product. What to do? Kumar gives the example of LinkedIn LNKD -0.57%, where he says “the advantages of upgrading are murkier” than they should be. He believes the company could monetize more users if this was corrected. Early adapters are less price sensitive than later adapters. 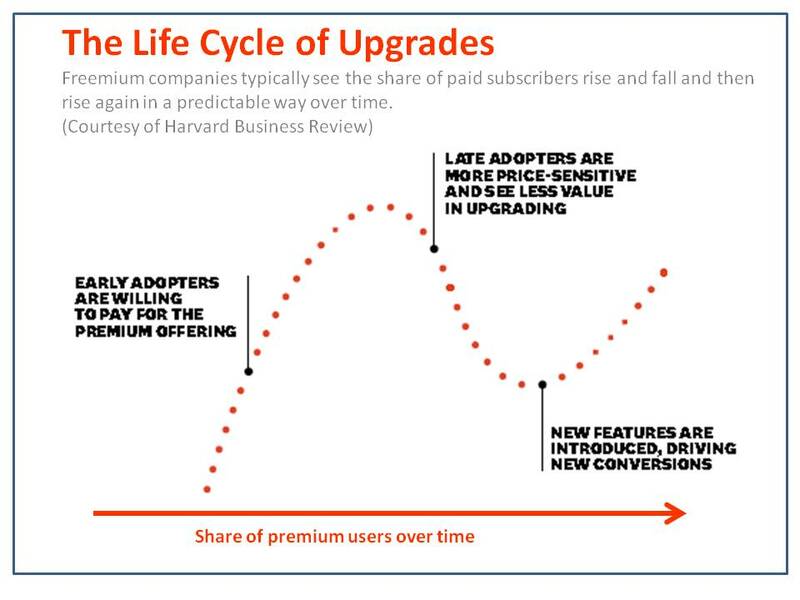 Rates of conversion from free to paid users vary over the life cycle of the product, with early adapters to the product probably converting at a much higher rate than later adapters. Referral bonus programs – where current customers are rewarded for referring new customers– are effective, but if they are too generous, the program won’t encourage multiple referrals.